Wine of Zamorak are used to create super ranging potions. They respawn on a table in the Captured Temple, and are guarded by Monks of Zamorak. Wine of Zamorak can be taken from the table by using the Telekinetic Grab spell. This spell requires 33 magic. Note that due to a recent update, even with the use of Telekinetic Grab all surrounding monks will attack. Start out at the Falador lodestone, wielding a staff that allows you to cast spells without air runes (such as a staff of air or tower mindspike) and having law runes in your inventory. Walk north and enter the Captured Temple. Use the Telekinetic Grab spell on the wine on the table, and it will be added to your inventory. On a fairly populated world, it will respawn every 25 seconds. Continue telegrabbing the wine until you have a full inventory. 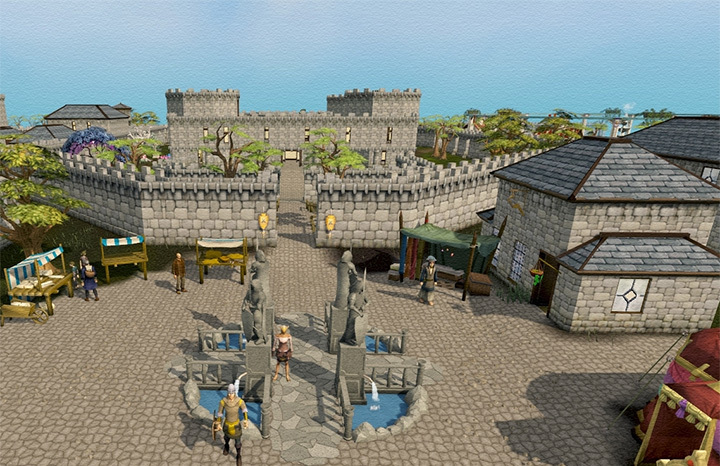 Upon reaching a full inventory, teleport to the Burthorpe lodestone and use the bank located slightly south-west. After banking, teleport back to the Falador lodestone and repeat. 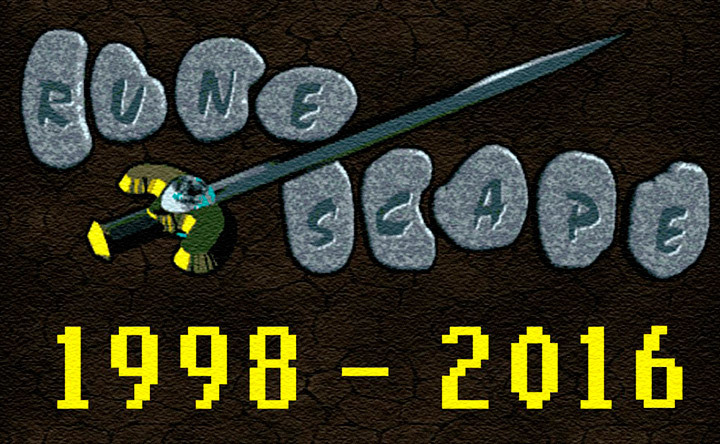 Due to the varying respawn rate of the Wine of Zamorak, time taken to get inventories of wine can differ, hence varying the amount of money this method makes. 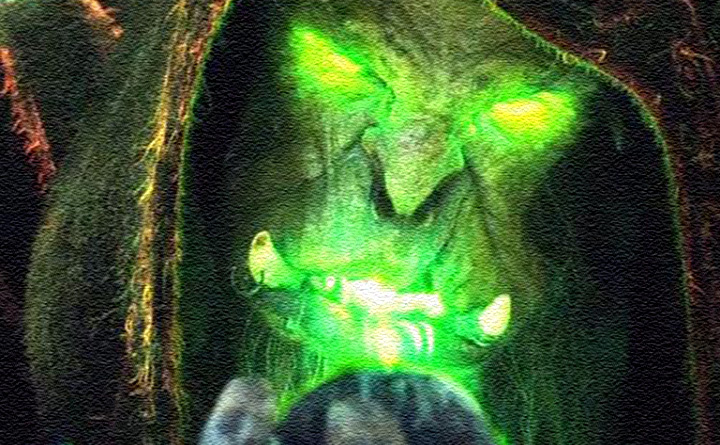 On free-to-play worlds, the spot to telegrab Wine of Zamorak may be crowded. You can either switch worlds until you find an empty spot, or compete with the other players to get the wine first, although most players would argue it is mutually beneficial to hop rather than compete as it is likely both players' profit per hour would drop. 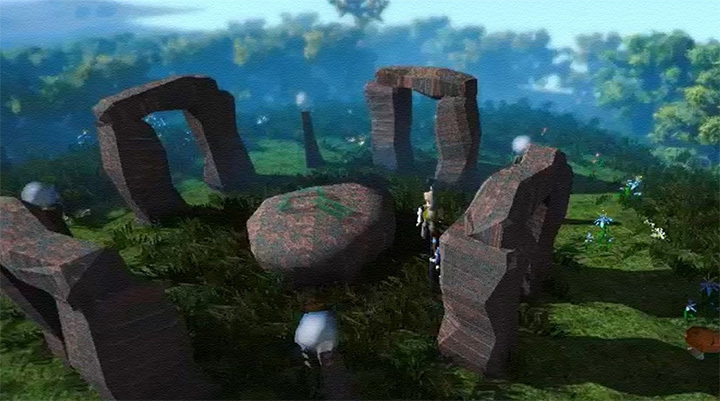 As of telegrabbing Wine of Zamorak triggers the surrounding Monks of Zamorak to attack. Because of such events, it is now advised to have a minimium Prayer level of 37 to Protect From Magic in order to reduce damage. If competing however, note that whether players standing on the same spot are clickable depends on your own orientation. Telegrabbing the wine will make you face the table, and your staff would hover over the table, making it much easier to misclick on a player instead of the wine. Therefore, it is beneficial to turn to a different direction. However, it is much more likely to run into multiple bots, and it would be difficult to telegrab any wine at all in their presence. Although tricks exist, such as unequiping your staff and positioning yourself diagonally so that the staff hovers over the table, bots won't be able to pick up the wine. However, on F2P worlds, you may kill all the monks and simply grab the wine. Bots will always go for the telegrab, but its longer animation gives you opportunities to pick wine up normally. It saves law runes if you aren't in a position to buy many of them. Bring Defence potions and a Shield or Shieldbow to use Rejuvenate to restore your combat levels. Rest or use Sacrifice in between pickups to offset the damage taken. The nearby altar permits liberal use of Rapid Heal, Rapid Restore, and combat-boosting prayers. You can also bank at Daemonheim and enter a dungeon to quickly restore your levels.Due to constantly changing prices on the Grand Exchange, some information in this article may or may not be current.